BEST FIGHTER FOR CANADA: Scary planes! What better way to celebrate than to look at some of the scariest planes ever? 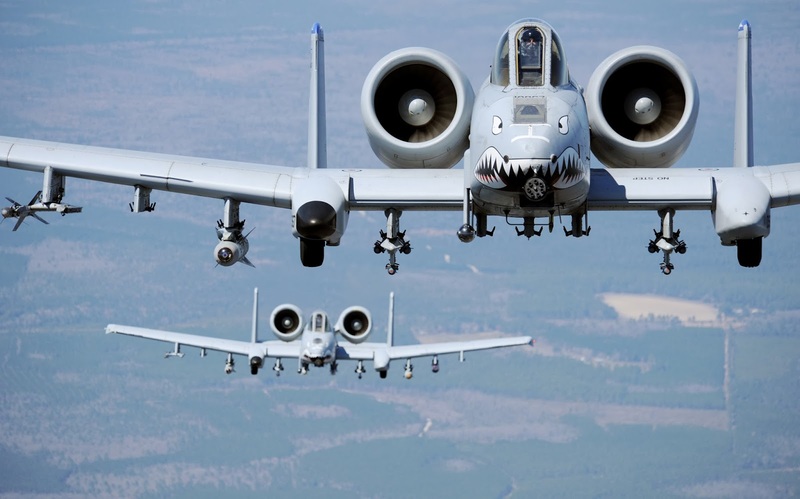 Fairchild Republic A-10 Thunderbolt II "The Warthog"
Allied ground troops love the A-10, but insurgents have nicknamed it "whispering death" thanks to its distinctive sound and brutal effectiveness. Yet, for some reason, the USAF wants to get rid of it. More than anything else in the Cold War, this aircraft had us scared. Not because it was ugly. Not because is was the fastest turboprop aircraft ever put into service... Or the loudest. What made the Bear scary was that it had a crazy long range of 15,000km, allowing it to reach any point on the Northern Hemisphere (and some of the Southern). It carried up to 33,000lbs of bombs or missiles, including nuclear weapons. If that isn't scary enough, how about the fact that the Soviet Union had over 500 of these things, ready to drop hellfire on NATO countries if the Cold War ever turned "Hot". The Bear is still in service, and like the B-52 Stratofortress, shows no sign of slowing down anytime soon, lasting until 2040. While we are on the subject of Cold War scares, lets look at the MiG-25. Designed to counter the threat of the stillborn Mach 3 XB-70 Valkyrie bomber, the MiG-25 was capable of sustained Mach 2.8 and could even hit Mach 3.2 if the engines were pushed to point of requiring extensive maintenance. A big interceptor with an enormous radar and long-range missiles, the Foxbat caused quite a stir when discovered by American intelligence agencies. 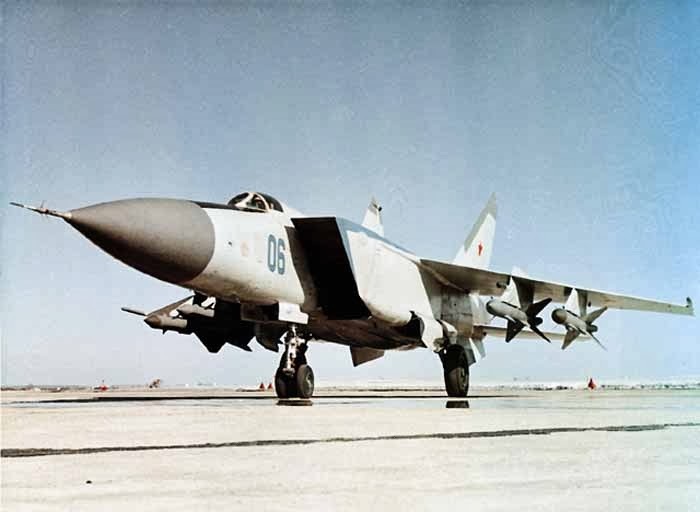 Thinking the MiG-25 was all-around fighter, they upped the requirements for the F-X program that was ultimately responsible for the F-15 Eagle. That's right, the F-15 was "scared into existence" by the MiG-25. Soviet Russia had nothing on the good ol' USA when it comes to designing and building scary aircraft, however. 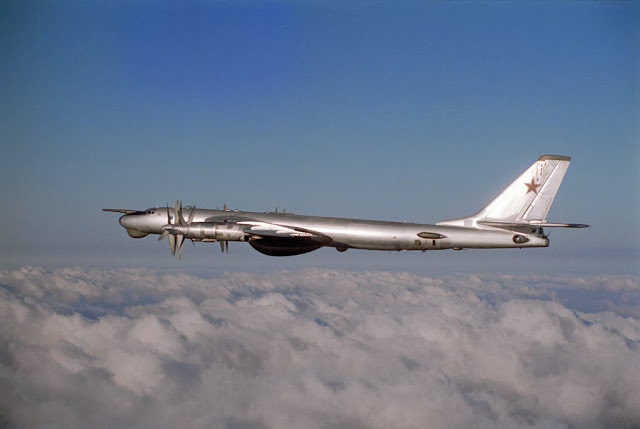 The American built a bomber so scary, it may be partly responsible for ending the Cold War. Designed in the 80s, the B-2 is best described as a flying nuclear attack submarine. It can slip into enemy airspace undetected, deploy 50,000lbs of bombs or missiles, and fly out without ever being detected. 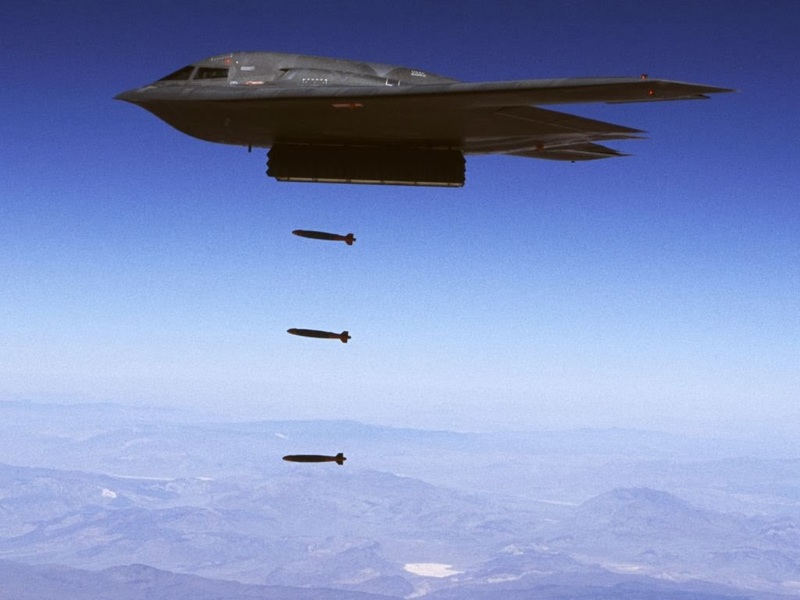 Just the mere presence of the B-2 may be enough to get an enemy to reconsider. In March 2013, when North Korea was threatening military action against the South, the USA sent over a couple B-2 bombers. The stealth bombers flew nonstop to Korea for "an exercise", and then flew back to the US. The Pentagon then issued a press statement. North Korea may not have even known about the bombers until then. The message was very clear. "We can fly over there, drop bombs, then fly home without you even knowing until it's too late." North Korea's aggressive rhetoric soon quieted down after that. Not enough? How about this: At a total cost of $2.4 billion each, the B-2 is the most expensive aircraft ever. Now that's scary. Project Pluto aka: "The Flying Crowbar"
This last one, thankfully, was never built. But it shows just how much of a horror show Cold War weapon development was. 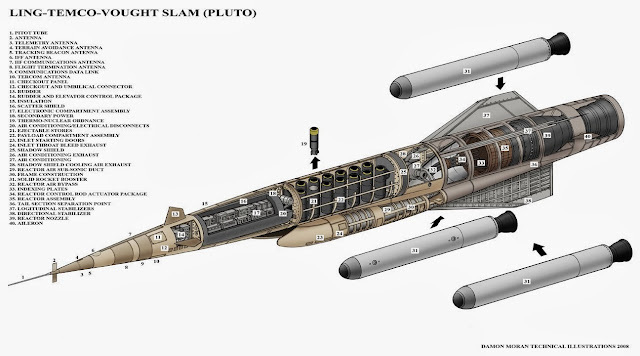 Project Pluto was, essentially, a UCAV from hell. It used an unconventional 500 megawatt nuclear powered ramjet to fly at Mach 3 speeds at treetop level. Once it reached its target, it would launch its payload of nuclear warheads. Unprotected by any sort of shielding, Pluto's nuclear reactor would have been deadly to those around it while running. While flying, radioactive exhaust would be belched out. Flying at treetop level, its sonic boom would be unbearable, and the trail of atomic exhaust would be devastating to any area it flew over. The nuclear warheads almost seem like overkill at this point. Mercifully, Project Pluto never progressed. One of the toughest problems surrounding this thing was the obvious question "where do we test this thing?" "Boyd: The Fighter Pilot Who Changed the Art of War"
this give a good understanding of the (broken) USAF and also why the A10 is not liked. Boyd was amazing, and more than a little outspoken. His wisdom seems to have been forgotten already, unfortunately. The AF part is really interresting.